My canvas tote that I take grocery shopping is wearing a little thin, and I've been looking for a replacement. So I was excited about the launch of The New Domestic yesterday. 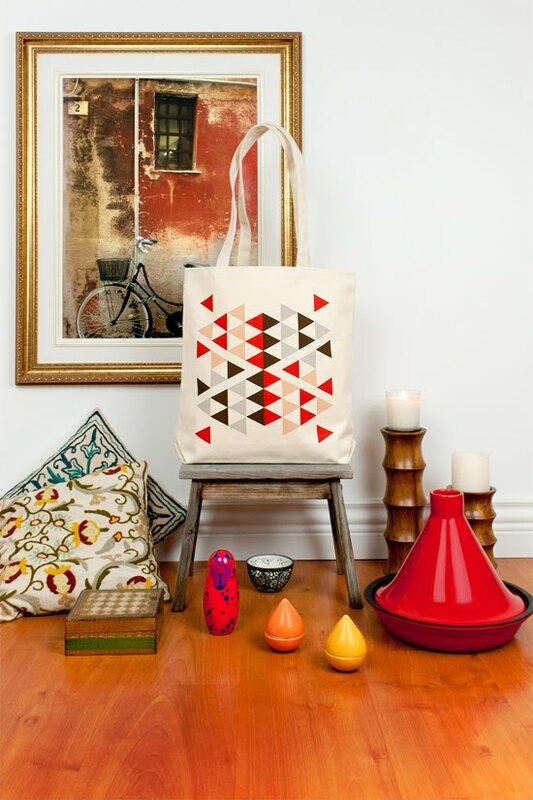 Their first line includes these tote bags with screen printed triangle patterns. 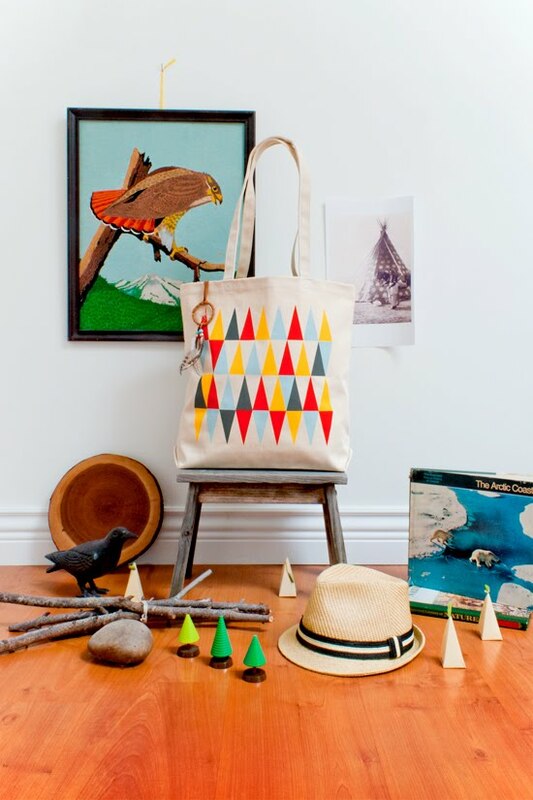 Bonus: the other side of all the totes is printed with diagonal stripes, so it's a two-in-one. Very Cool bag! I love the pattern! How I love triangles :) this is right up my alley! Yeah, definitely a bonus. Those bags are awesome! OHHHH i love them! I only have crappy bags I got from stores. I have yet to invest in a cute one. I'll have to go check these out, thanks for sharing! love it. i'm sure it will serve you well. and the two different patterns are a definite bonus. 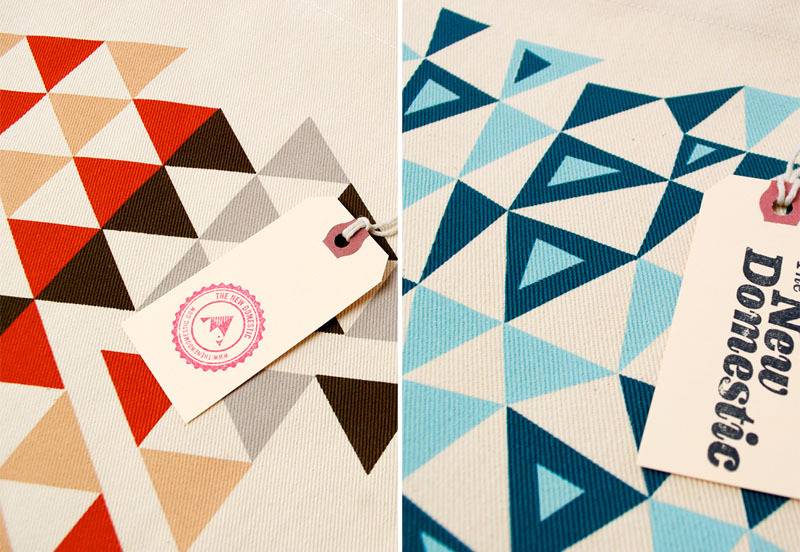 geometric shapes are my absolute fave. and I think triangles take the cake. Those patterns and colors are amazing.